Today’s post is big! 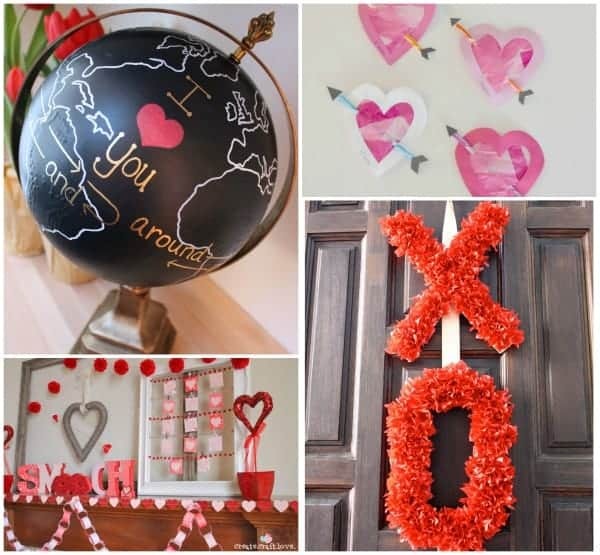 You are going to get a ton of Valentine’s Day Inspiration from 14 different bloggers! Whaaaaat? Did you make your own valentines as a kid? Or at least get those tear apart character valentines from the store and have to sign each one? And then if you were an obsessive DIYer like me from an early age, you would spend the extra time decorating the envelopes….ok…just me huh…aw-kward! Well, this year is the first year that we are having to really do the whole Valentine’s Day thing around here. Thinking about how much I loved making, or at least decorating my valentines when I was a kid got me thinking that this would be the perfect way to get my little lady involved. She loves crafts and we spend a lot of time coloring, gluing, and cutting, but not always with a specific project in mind. So today, I’m heading back in time to when kids made their own valentines. Back to a time before printables (which are really fantastic by the way), and before pinterest bullied me into valentines looking perfect. Today is all about my little girl getting to give out her kid crafted valentines, even if they are a bit wrinkled because she uses way too much glue. These valentines were inspired by the classic sun catcher art you did as a kid. 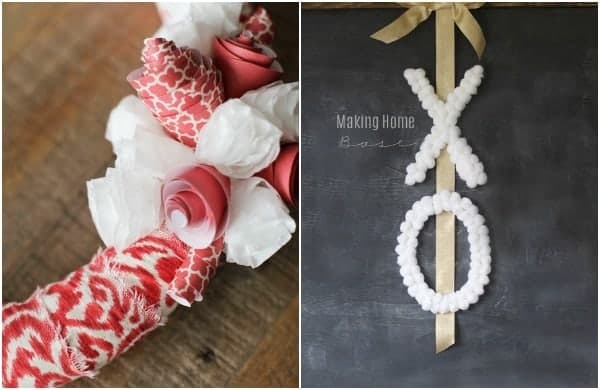 You will need: Wax paper, white school glue, a small paint brush, tissue paper (in different shades of reds and pinks,) card stock, scissors, a pencil, and pixie sticks for the arrows. The first thing we did was make the sun catcher part of the project. My little girl loves doing this part. It is important to use different colors so you get a stained glass look. I had my lady make about 3 sheets of this and let them dry over night. Once the sheets were dry I made a heart template that would be the perfect size to poke my pixie stick through. Then, I traced it onto the back side of our wax paper covered in tissue with the point of a mechanical pencil (without the lead) and cut out each heart. You will end up with these really pretty sun catcher hearts. Now for the assembly. I had my little lady paint white glue onto each heart border and then she placed the sun catcher hearts on top, face down. And we let them dry. This took awhile, but she loved it. Once they were dry I made 2 small slices in each heart at a diagonal and she helped me slide the pixie sticks in. Finally, she glued the triangles and the fletchings onto each pixie stick and we were done! She is really excited to give these out to her friends at preschool on Valentine’s Day. She keeps telling her friends that she made a special valentine for each of them and it has a special treat. I like that she is into making things herself and is so proud of her hard work. Pixie sticks?! I’m SO in. Especially if we’re using the blue ones because everyone knows that the blue ones are by far the best. I love this craft idea! 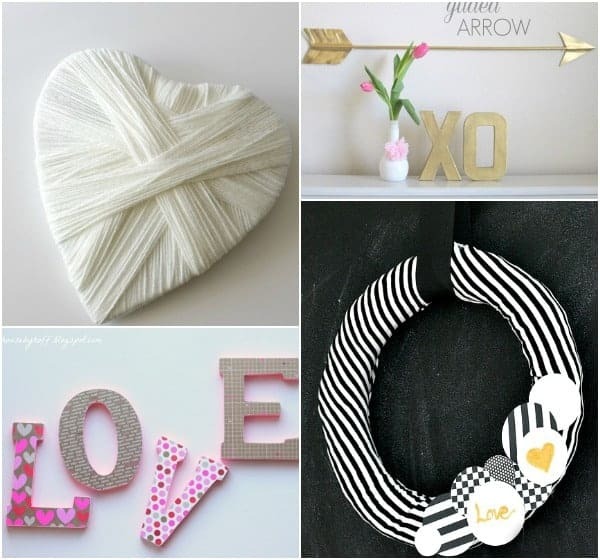 I was looking for a kid valentine craft that involved arrows. So cute and creative! I absolutely agree that the blue ones are the best. Maybe get a pack and save the blue ones for yourself? Hahaha. So glad you like this project! It is really fun. You are so welcome Katie! This was a really fun way to get my little one involved. Have fun! Love these, Corey! I spend a lot of time crafting with my kids too, and I totally agree that something they help make is much more meaningful. WHat a great giveaway!!! 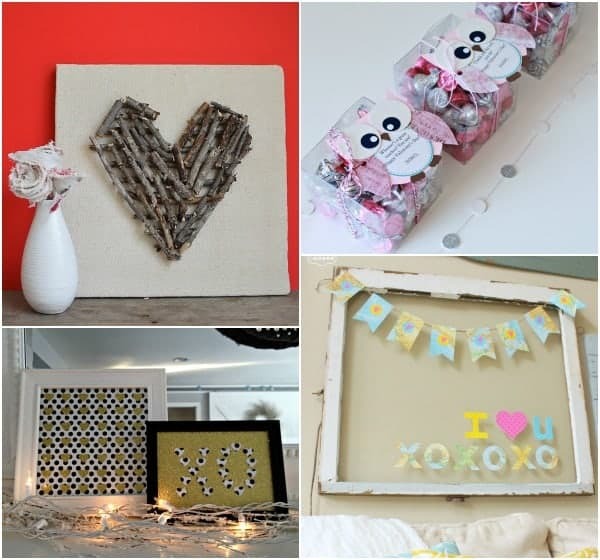 And those are some really cute Valentines Decor ideas!! I love how these Valentine’s Day cards are all handmade. I know it means so much more when kids make something for themselves. How do I love Target? Let me count the ways….. Oh wait, FAR too many to list. I love Target because I could get lost in their decor section for hours and it’s like a little mini vacation (until the reality of my check book hits). Thanks Sonnet! The hardest part has been keeping my little girl out of the pixie sticks! Ha! I love target brand grocery products. They’re quality food at a low price. Great for my family and my budget. I love Target because many times it is one stop shopping for me. And with two little ones and a baby due soon, only having to make one stop to get everything I need is very much appreciated and utilized! I know the feeling! The less times I can get my little crew in and out of the car, the better! These are so cute, Corey! I know your daughter’s friends will love them! It was great to be on this hop with you today! Have a wonderful week! These are so precious Corey!! I love seeing your little gal in action:) So fun! Darling! I love projects where the kiddos can get involved! Thanks for sharing, Corey! These are perfect for little ones!! Pinning! Came across your site a while back and never regretted signing up . Wonderful ideas , tutorials .. Thank you for putting this out there in Cyberland for all of us ! I love this, Corey. Kid-friendly AND adorable! Great job. So happy to be part of this blog hop with you! Thanks so much for sharing your adorable craft! I’ve got two very crafty girls and we’re always looking for projects that are easy to create. This will come in handy for the snow day I’m pretty sure we’ll have tomorrow. And BTW, your daughter is absolutely adorable. Might have to try a V-Day project this year! So cute. I love how creative this is!